Have you worked your way up from Beginners to Advanced Diving Courses but still find yourself wanting to take your love for diving a notch higher? Or do you have aspirations of becoming a commercial diver? If you dream of joining the ranks of diving professionals, you can begin by taking the Divemaster course – our most intensive scuba diving training program. You’ll learn everything you need to know about diving in this course and presents an opportunity to turn your passion for the sea into a fulfilling career. What do you need to begin your DM journey? 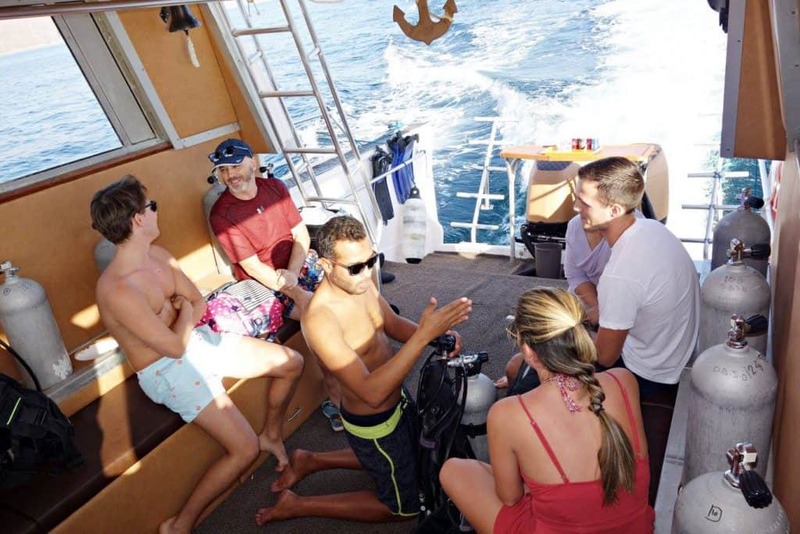 You have to be at least 18 years old in order to be eligible for the Divemaster course with the premise that you have already completed the Beginners up to Advanced Courses. Click here to see the complete list of requirements. What can you expect to learn and how long does it take to be a DM? The training period of a Divemaster takes seven to fifteen days. You will be given the opportunity to fine-tune your dive skills and enhance your rescue skills to prepare you for real-life underwater challenges. The experiences gained through your training will help enhance your leadership skills and give you the confidence to educate others. The training includes completing an Emergency Assistance Plan individually for a dive site (frequented by divers from the local area). The Emergency Assistance Plan will be evaluated based on its thoroughness in providing information that can help during a diving accident at the assigned site. The plan may include the local emergency medical contact information and other contact information that can help local authorities evacuate an injured diver. The plan may also include the number of diver emergency service (if applicable in the area) and nearest operational recompression chamber if the area is not served by Divers Alert Network or Diving Emergency Specialist. In case you submit an incomplete Emergency Assistance Plan, you will be instructed to revise it until all the requirements are fulfilled. As a DM candidate, you need to undergo a problem-solving exercise called the Mapping Project to enhance your effective dive organization skills and management. This involves making a survey of the open water dive site and making a detailed map that shows points of interest and entry/exit areas. It is also important to take note of potential hazards to promote safe underwater navigation. You may also have to go through other exercises such as the Divemaster-Conducted Programs involving real or simulated PADI programs. Another important training requirement is to complete a Practical Application Internship. 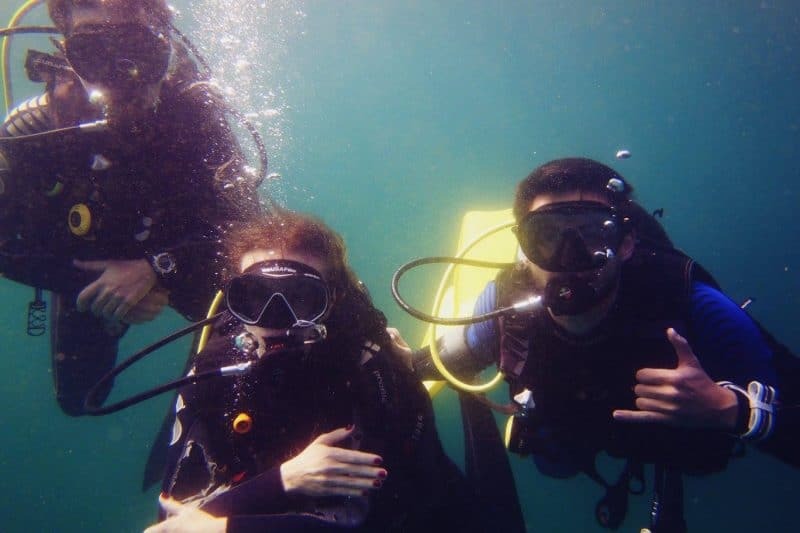 Beyond the academic knowledge and scuba skills, connecting with people who share your love for diving opens the gateway to new friendships. Since being a DM gives you an opportunity of working abroad, you can build a huge network of people with a common passion for diving. What can you do as a DM? With a Divemaster Certification, there is a myriad of opportunities waiting for you to unveil. For starters, it gives you the privilege to lead and become a role model for other divers. You will be able to give dive briefings, supervise training activities, and conduct scuba reviews and skin diver courses. Not only that, but you can also assist in Discover Scuba programs and lead their dives. The ability to mentor and motivate new students and certified divers allows you to share your knowledge and experiences and at the same time fuel your infectious love for diving. A Divemaster certification allows you to learn other trade skills such as underwater salvaging, underwater welding, and other marine construction skills. You can combine your DM knowledge and experience with such trade skills to be qualified for more difficult yet rewarding careers such as underwater construction. It can be your ticket not just to a fulfilling job but a high-paying one that gives you the privilege of traveling abroad. You can also take up underwater photography and video filming courses if you plan to take up a career in underwater photography or videography. Imagine working as a camera operator and getting underwater footage for a documentary series or an international movie. Sounds exciting, right? You can also pair your DM training with a Scientific Diving Program if you envision yourself of becoming a Scientific Diver who studies underwater species. Taking this path will give you a chance to work with universities and government agencies that require the collection of underwater samples that they can use for research programs. Ready to take the plunge? Follow the journey to a whole new level of scuba diving and enjoy the benefits of doing what you love as a career.